A month after the latest farm bill legalized industrial hemp as a crop plant, Minnesota's hemp program coordinator has been swamped with phone calls. "I get calls a lot from county commissioners and local economic development authorities in various rural areas who are really eager to get more information and potentially invest in processing facilities in their area," said Margaret Wiatrowski, who works for the state Department of Agriculture. When Congress passed the 2018 farm bill in December, it removed hemp from the federal controlled substances list. And now, farmers, municipal leaders and producers across the state are clamoring to learn more. Hundreds of farmers are expressing interest in the crop they see as profitable at a time of low prices for traditional crops like corn and soybeans. Some varieties of hemp will grow anywhere in Minnesota, while others need a longer growing season than is found in the state. Hemp is likely to be planted in relatively small acreage compared to corn and soybeans, but it has the potential to bring a much higher profit per acre. The state agriculture department is hosting an informational meeting on industrial hemp Friday in St. Paul. Wiatrowski said she expects it will be packed to capacity with more than 200 people. Amid all the interest, though, Wiatrowski urges caution: Hemp doesn't have the same ready markets as established crops. And there's very little processing infrastructure in the state. So potential growers will need more than a casual interest, she said. "They have to have more of a plan than just generally like, 'I'm excited about growing this crop.' So, that means finding a buyer for their material before they even plant anything in the ground," Wiatrowski said. The opportunities to sell harvested hemp in Minnesota are limited at the moment, she said, with only a handful of companies that buy hemp grain. The 2014 farm bill allowed states to set up hemp pilot projects — and Minnesota's pilot started in 2016 with six participants who harvested about 40 acres of hemp. In 2017, the program expanded to 38 participants, growing more than 1,200 acres. Last year, the number of growers jumped to 51. Under the new farm bill passed in December, states are allowed to set up a plan to regulate hemp in order to ensure that any crop grown does not exceed federal standards for tetrahydrocannabinol, or THC, the psychoactive component found in marijuana, hemp's illegal-to-grow cousin, which remains on the controlled substances list. 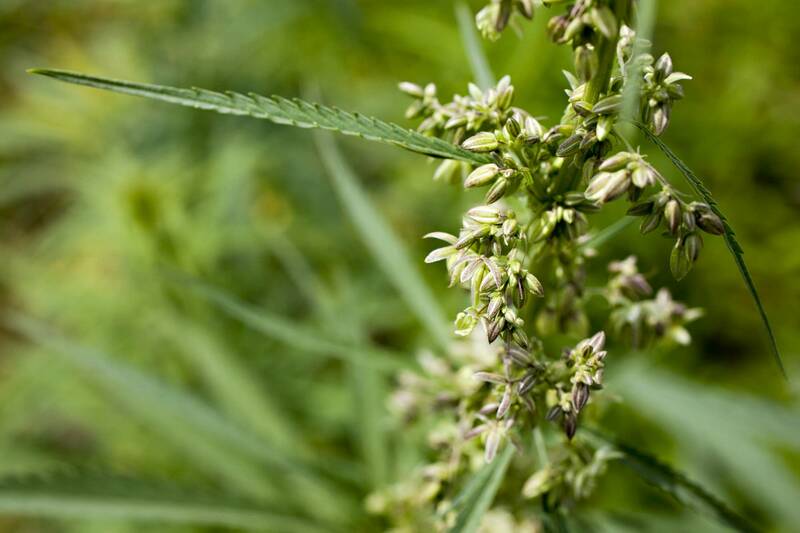 Researchers at the University of Minnesota have studied several hemp varieties and have identified some that grow well in the state, but Wiatrowski said much more research is needed to identify the varieties most suitable to growing conditions in Minnesota. Farmers and processors will need to choose among the many potential uses for hemp when they select hemp varieties to grow. And it has a lot of uses, Wiatrowski said, "from textiles to construction materials, food to medicine — all these things. And so it's just a question of analyzing the potential market and what would make the most sense for Minnesota. That's the kind of work that really has to be done." The hottest hemp product on the market right now is CBD oil, or cannabidiol, a non-intoxicating part of the plant, which is being touted as having many health benefits. But Wiatrowski said the plant varieties grown for CBD generally require a longer growing season than is possible in most of Minnesota, and she expects the federal Food and Drug Administration to begin regulating the product, which is now produced with no regulation. That could quickly change the market demand. And it might also shift the market toward other products, like growing the plant for hemp fiber. "There isn't anyone really doing anything with the hemp fiber at this point in the Upper Midwest. But there's a lot of interest," said Wiatrowski. "Patagonia is starting to make a lot of clothes out of hemp. They're in another part of the country, but I think that type of thing — construction materials, textiles, and bio-composites like plastic alternatives — I see that as being a long-term area of growth for our region." In the short term, farmers will need to balance hemp production with available markets and the development of processing infrastructure in Minnesota to turn hemp plants into saleable commodities like fiber, grain or oil. Wiatrowski said she thinks it will take a few years for the industry to become established in the state.